From a macroscopic point of view catalysts appear to be magical. Let’s throw some metal scraps or a floppy protein into the mix and a reaction instantly works better it seems. The key, however, lies in the tiny microscopic interactions between free-floating chemicals and the surfaces in which they interact. Catalysts bring order and support to chemical reactions. The difference is like a parking lot with defined parking spaces leading to perfectly aligned vehicles compared to a poorly designed lot with random lines generating a chaotic mess of vehicles that impede each other’s movement. Catalysts provide a lower energy path for a reaction by physically aligning or guiding chemical reactants, but what else can be gleaned from catalysis research? In a society dependent on chemical products, the ability to create things quickly is desirable. Catalysts allow reactions to occur at relevant time scales – products are formed in seconds instead of days. It shouldn’t be surprising then that over a third of total global product output is dependent on catalysis and that 90% of all fuel and chemical production uses catalysis (ref). Less energy input and reaction time for the same output is always better, which means more products for the people and more money for the providers. Solid catalysts get a bad rap because they are typically made of precious metals, like platinum, rhodium, and rubidium. The key point that people tend to forget is that the catalyst remains virtually unchanged for a long period of time. The metal is not necessarily wasted and can be regenerated and recycled if any build-up or unwanted reactions occur. These precious metal catalysts mitigate many environmental issues by converting harmful compounds into more innocuous ones, such as in the case of a car’s catalytic converter. At the same time, catalysts save a huge amount of energy because catalyst-based reactions require less energy than conventional reactions. The reaction can get even greener if the catalyst itself is a biocatalyst (enzyme) because these reactions can take place at ambient temperatures and pressures. Since catalysts don’t participate in a reaction, there doesn’t usually need to be a whole lot of the catalyst around. For solid catalysts, the most important factor is the surface area, basically anything exposed to outside interactions. Because of this, any of the catalyst that cannot contact the reactant is considered wasteful. Thus, scientists aim to either make extremely tiny catalysts (nanostructures) or catalysts that are porous and can allow reactants inside. This allows scientists to maximize the surface area and use less overall material to create more effective catalysts. Humans have been using catalyst-like materials for thousands of years. The ancient Romans used a form of zeolite catalyst to filter water within their aqueducts without fully understanding how it worked. 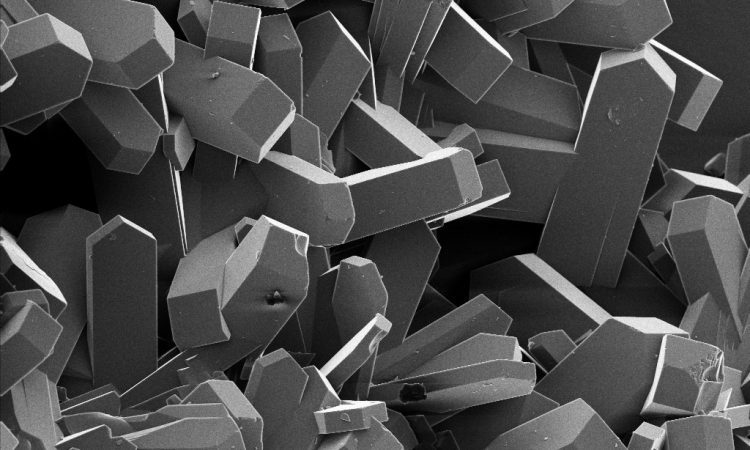 Scientists have discovered other catalysts through a similar trial and error method, including the famous Haber-Bosch iron-aluminum catalysts that form ammonia, where the mechanism was uncovered much later. Trial and error methods are still used today to discover modern catalysts. Thankfully, scientists can now leverage supercomputers and intensive computational investigation to discover both reaction mechanisms and entirely new types of catalysts. One major downfall of catalysts is that through extensive use they are slowly deactivated, becoming inefficient overtime and requiring regeneration. Thus, a major focus of current research efforts is on catalysts that can self-regenerate or self-heal, much like living organisms where biocatalysts are recycled and replenished as needed. One highly promising application of this type of work is on self-healing catalysts for water splitting from solar energy.